Our letters are printed on fantastic quality paper to act as keepsake items. With a real Christmas feel and signed by the man himself!! The letter will be personalised, based on the information you provide about the child, so gives an extra feel of authenticity and realism. The letters are sent in beautiful, fun, Christmassy envelopes with the words ‘Letter from Santa’ on the front allowing children to feel the Christmas spirit the moment the letter is delivered! FREE follow up letters are sent reminding the kids that Santa is on his way generating real excitement in the run-up to Christmas! The feedback we have got from previous years on this follow up letter is tremendous so we’ve decided to throw it in for free inside every package this year!! 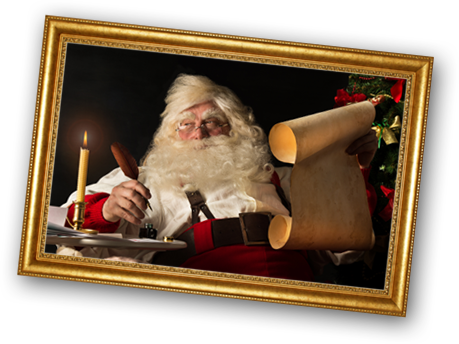 Good Child certificates are just that…Santa will provide a certificate acknowledging the chosen child has been good this year!